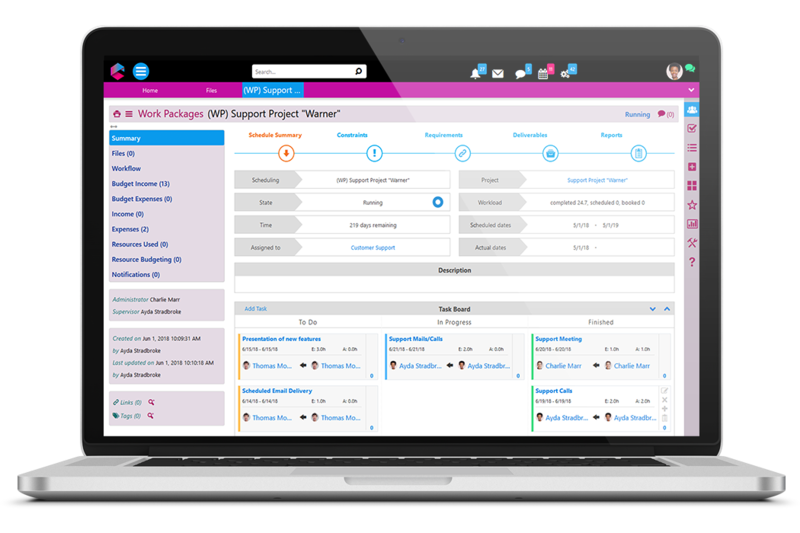 Comidor offers online project management tools on the top of a quick and easy on-line collaboration background. 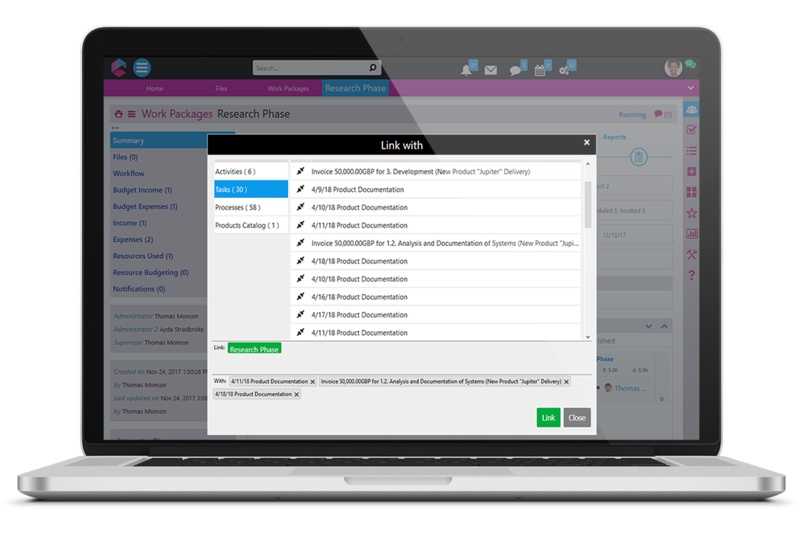 Develop the PM plan estimating activity duration, determine work packages, describe work packages with workflows. Coordinate fully the human & infrastructure resources, creating outstanding products or services as outlined in the plan, while managing the Stakeholders expectations. Verify and control scope, identify change, apply corrective actions, inspect & update, calculate the ETC. Perform final verifications, deliver the final contract performance broadcasting, document the lessons learned, create archives, get feedback. Project Manager (PM): selects the participating groups and builds the Gantt chart online. He is the responsible to set the desired workload for the members, as well as to estimate the expected cost and finally assigns each schedule to its associated manager. Team Leader (TL): selects the appropriate workforce and assigns duties to them. Team members (TM): accept the orders assigned to them, build their own sub-tasks and upon tasks’ completion their orders are flagged as “complete”. Thus, the actual budget and the exact workload are re-calculated to encompass the updates. Information during the life cycle can be easily shared. The coordinator enables associated teams to solve issues arisen. Checking the Asset Utilization helps in keeping an eye on the crucial performance baselines. The methods and tools can be repeatedly put into practice easy and fast. See a real-time project in a demo! 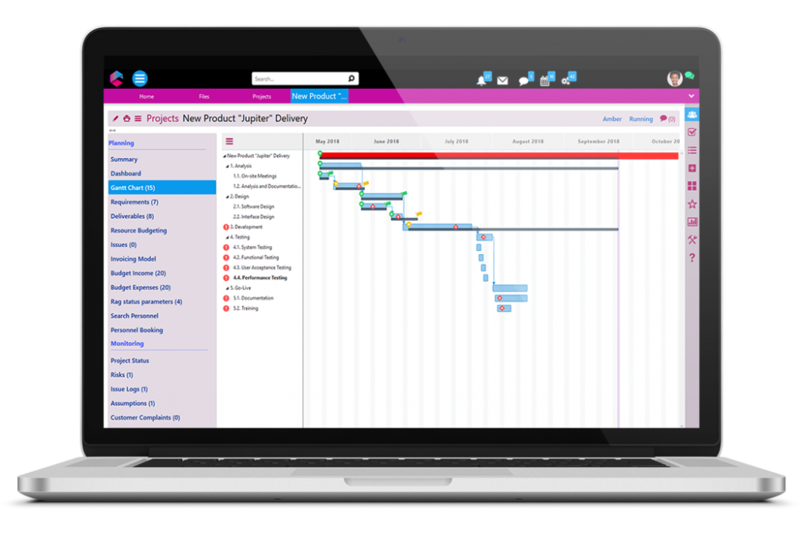 Use the simple Gantt Chart maker to represent the time and duration of the Project’s Work packages. Define your milestones, in order to landmark the progress that should be made at a certain future point. The duration and the dates can be changed just by editing the sub-processes. Define constraints between work breakdowns such as (FS, FF, SF, SS) and get in line with your PMI or PRINCE2 WorkBooks! See the growth on top of the planned one in real time! Make templates and use them to similar projects simply by changing the name and edit date etc. Milestones are defined as distinct attributes of schedules in order to landmark the progress that should be made at a certain future point. Control with the burndown chart the spend (vs) remaining schedule work hours. 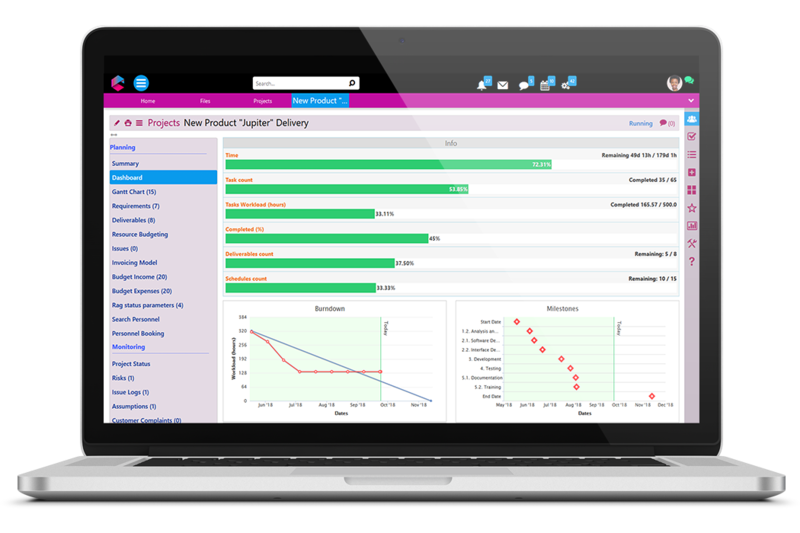 Do you want to find out more about Comidor Project Management Software (PM Software)? Get quick updates via the KanBan board tool, monitoring the work progress and their just-in-time deliverables. 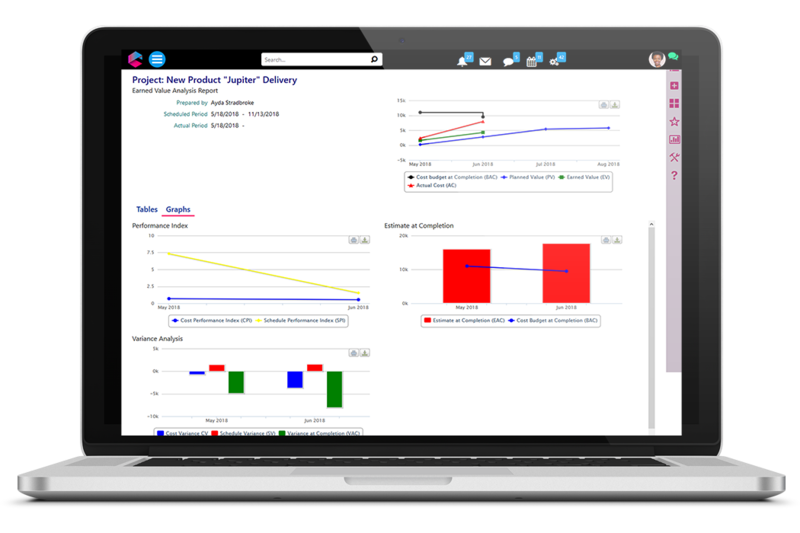 Comidor KanBan board alleviates team project managers’ burden of work-in-progress (WIP) monitoring by revealing and preventing bottlenecks dynamically. Dynamically define and organize both physical, intellectual, human or financial internal or external assets. 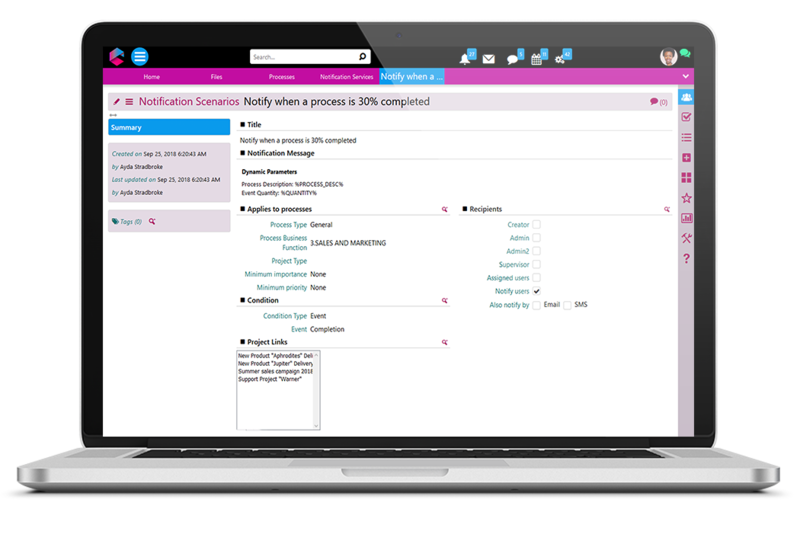 Take care of assignments, resource availability, roles and workload rates. 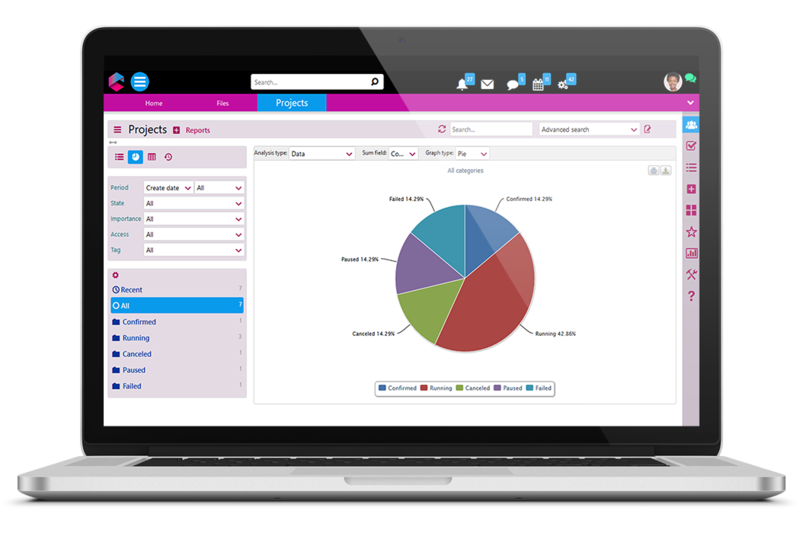 Assign numerous resources to multiple projects and automatically be informed of redundant or overstretched resources. 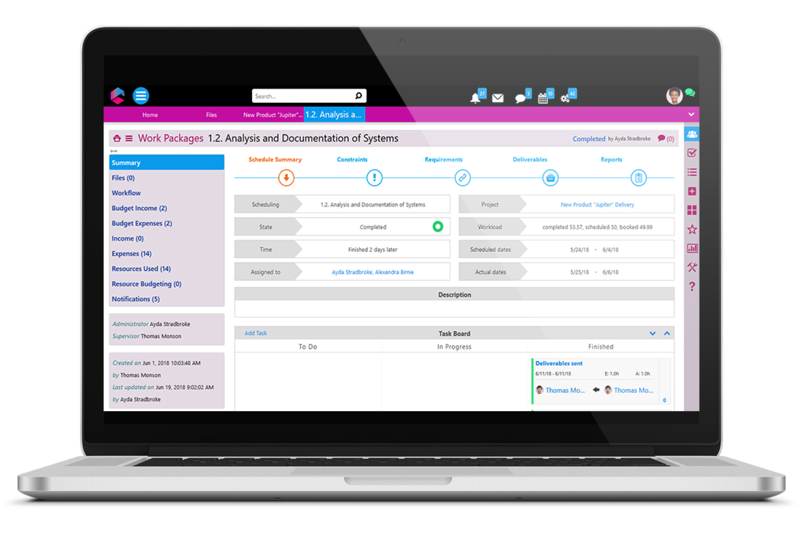 Explore the plethora of available timesheets to have at all times clear picture of your teams’ progress. Choose among variety of options about the way that the system will notify you, ie. an SMS prior 20min from expected task start.